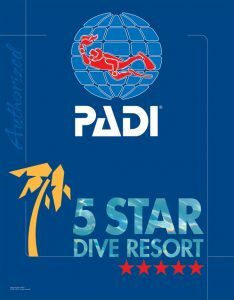 Magic Island Dive Resort can offer you a extensive range of PADI specialties like the Deep Diver, Enriched Air NITROX diver. No matter what you present license is, our instructor Jamie is ready to you! Are you thinking of teaching yourself? 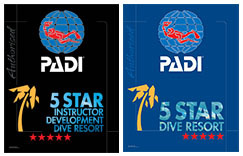 Jamie Gladwin is our in-house PADI Course Director and he has several IDC courses scheduled. Do you want to know more? Send him an email! 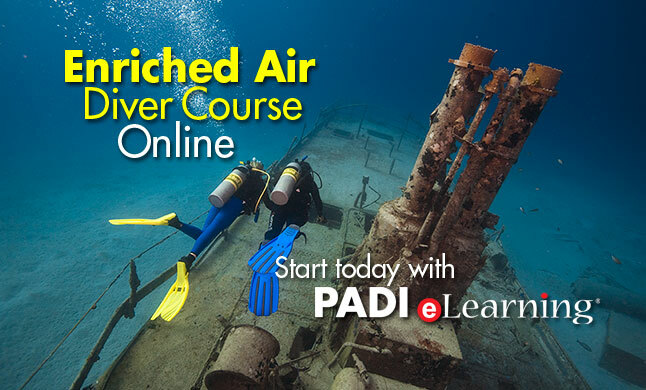 The PADI Enriched Air Diver course is the most popular specialty course. Why? Because scuba diving with Enriched Air Nitrox (EAN) gives you extra bottom time, especially on a repetitive scuba dive. If staying down longer sounds appealing, then don’t hesitate to start this specialty today. A PADI (Junior) Open Water Diver, who is at least 12 years old can enrol in the Enriched Air Diver Specialty course. You’ll learn why diving with air that has higher oxygen and lower nitrogen content gives you more bottom time, along with enriched air equipment considerations. It’s always exciting and mysterious exploring some place new, when scuba diving, going deep is a way of fulfilling this. Sometimes it’s a wreck that attracts us, and on wall dives it may be a giant fan or sponge. Whatever it is, to scuba dive with confidence at depths down to 40 metres, you should take the Deep Diver Specialty course. 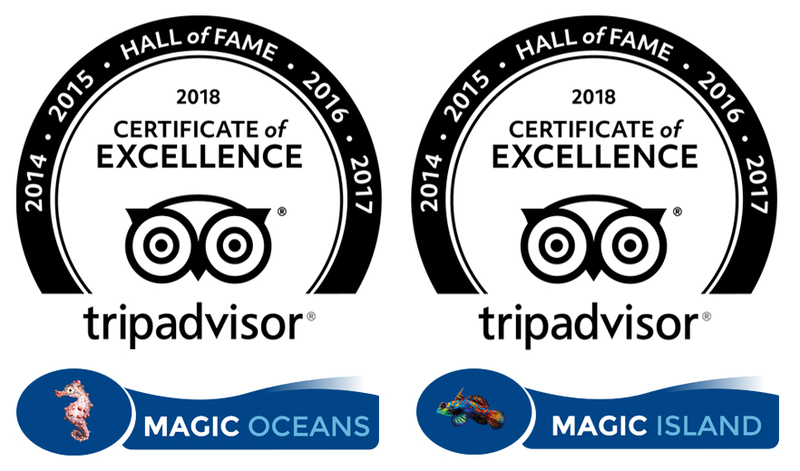 If you’ve earned the PADI Adventure Diver rating or higher, and you’re at least 15 years old, you can enrol in the Deep Diver course. Your training starts by reviewing reasons for deep diving and how important it is to know your personal limits. Be the scuba diver everyone wants to follow. During the Underwater Navigator course you fine-tune your observation skills and learn how to more accurately use your compass underwater. If you like challenges with big rewards, take this course and have fun finding your way. A PADI (Junior) Open Water Diver, who is at least 10 years old, can enrol in the PADI Underwater Navigator Specialty course. 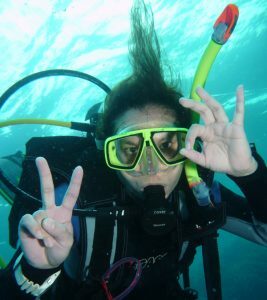 Excellent buoyancy control is what defines “skilled” scuba divers. 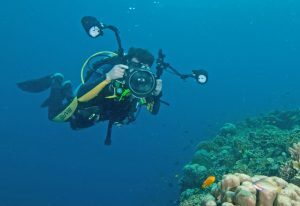 Skilled divers easily observe aquatic life without disturbing their surroundings. 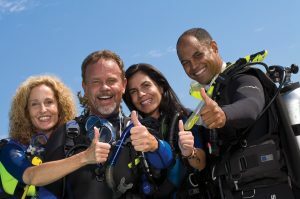 You can also achieve this; just take the PADI Peak Performance Buoyancy Specialty course. 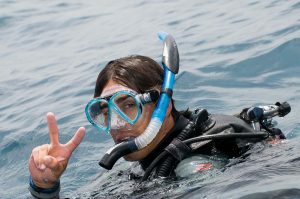 It improves the buoyancy skills you already learned and elevates them to the next level. PADI (Junior) Open Water Divers or higher, who are at least 10 years old, are eligible to take the Peak Performance Buoyancy course. • Determine the exact weight you need, so you’re not too heavy. • Trim your weight system and scuba gear to achieve better streamlined position. Project AWARE’s philosophy is to mobilize a global force of enthusiasts who care about protecting the world’s water resources and choose to make a difference. Anyone who has an interest in the aquatic world should take this course. There are no prerequisites, age restrictions or water sessions required. This is a non-diving specialty. • How Project AWARE unites people to make a difference. • About environmental issues in the worlds waterways.